Thanks to The Mighty for publishing this piece on Bipolar HK founder Sadie Kaye‘s sleepwalking misadventures on New Year’s Day! The Aspect of Bipolar That Led to Being (Wrongfully) Arrested on a Plane…Twice! 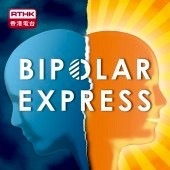 The Aspect of Bipolar That Led to Being (Wrongfully) Arrested on a Plane...Twice!